If you are in the age group where you have to worry about family planning, whether you wish to fall pregnant or you are anxious to avoid falling pregnant, there is a comparatively new gadget out there that might be just right for you. If used correctly, it has an accuracy rate of 99.3% and is completely drug and chemical-free. This monitor is as reliable as the hormone based birth control pill but without the risks. One version that is available on Amazon and elsewhere is called the Lady-Comp Fertility Monitor and comes from Germany. Fertility monitors come with all of the necessary data pre-programmed in and they are easy to use. The only operation you are required to do is to set the daily alarm. When you hear the alarm, this is to remind you to place the thermometer under the tongue. In less than a minute, you will have a response. The fertility monitors can be a good alternative for women who have complicated or irregular menstruation cycles as the computer will take the time to adjust to your cycle by recognizing any slight variances and function accordingly. These intelligent monitors are a safe and trustworthy option for any women who are concerned about or sensitive to the use of hormonal birth control. It has been well documented in studies that birth control pills have the potential to increase women’s risk of breast cancer because of the high levels of synthetic estrogen that these pills contain. Some fertility monitors are extra smart as they can automatically inform you if you are pregnant as well as the due date. Their added benefit is to assist those women who are trying to become pregnant by giving details of when is the best time to try to conceive. Fertility monitors are expensive but the cost should be weighed against other expenses such as birth control pills and the value you place on your health, your well being and a way to empower yourself by taking control of your reproductive health with this completely natural, safe and reliable birth control method. The current cost on Amazon is $485 plus shipping. Obviously, fertility monitors are for birth control only and will not be able to protect you from any sexually transmitted diseases. You would need to to use other forms of protection for this. 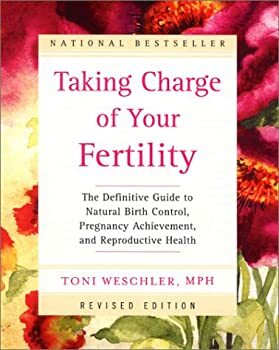 For extra information, you can try reading the book Taking Charge of Your Fertility by Toni Weschler as this makes a good companion when using the fertility monitor. Some readers may be interested in our own essential oils sexual enhancement products.